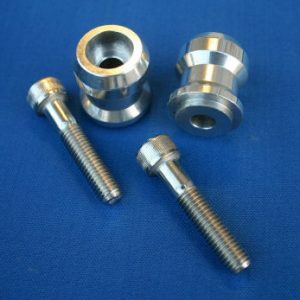 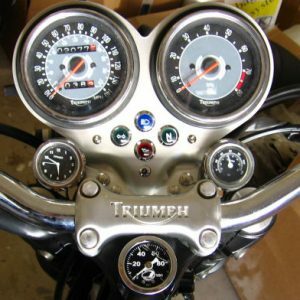 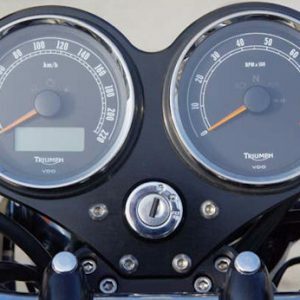 New from NewBonneville.com – Show quality, triple chrome plated Triumph Bonneville, Thruxton, Scrambler, America and Speedmaster handle bar end caps. 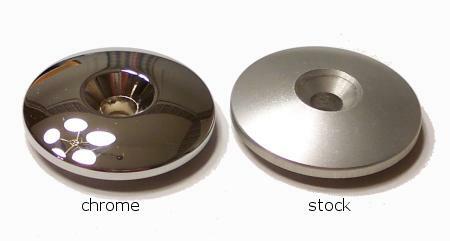 CNC-machined out of billet aluminum and professionally chromed and polished to a mirror finish, these caps are an inexpensive way to dress up your bike with even more chrome with a result that really stands out. 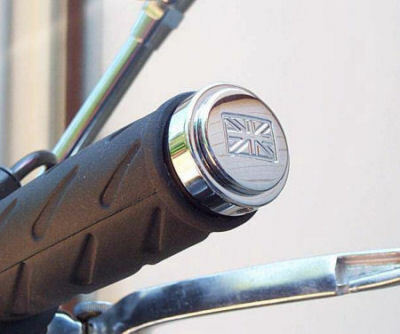 The Union Jack version consists of 4 pieces, a base and a cap for each side. 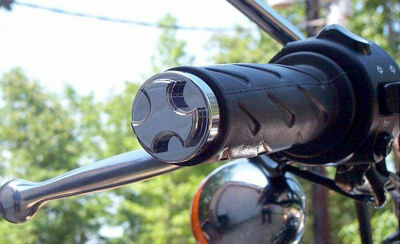 The caps are positionable so you can set the flag in any direction. 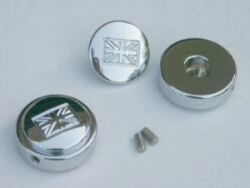 They are then tightened down with a set screw.